TEAM Philippines, including two Kapampangan drivers, competed and completed the toughest off-road motorsport in the world – the Rainforest Challenge (RFC) Grand Finals 2018 in Kota Bahru, Kelantan, Malaysia. The RFC is one of the Top Ten Toughest Motor Races in the World. This annual event is staged in the treacherous jungles of Malaysia where driving skills and 4x4 off-road vehicles are put to the test. The Philippine team composed of driver, Eduardo Sobrepeña and co-driver, Boxy Malonzo, both from the City of San Fernando, Pampanga, raced against 28 country teams from Russia, China, Mongolia, Hong Kong, Malaysia, Czech Republic, Korea, Ecuador, Vietnam, and Thailand from November 23 to December 4, 2018. They competed in a modified Land Cruiser FJ40 in the Modified Production Category with 14 competitors. The other 14 competitors are in the Prototype Category. Sobrepeña and Malonzo showed us the Filipino spirit and strength in the grueling competition which tested their skills in off-road driving. After finishing 32 Special Stages and 2 Twilight Zone Transport Stages, Team Philippines earned a total score of 1,642 points and landed in the 5th place Modified Production Category at the Night Closing Awards at Gua Musang on 4 December 2018. The Philippine team finished with top bracket standings in 12 out of 32 Special Stages. “Grabe pala hirap,” Sobrepeña said describing his experience at the RFC Grand Finals. 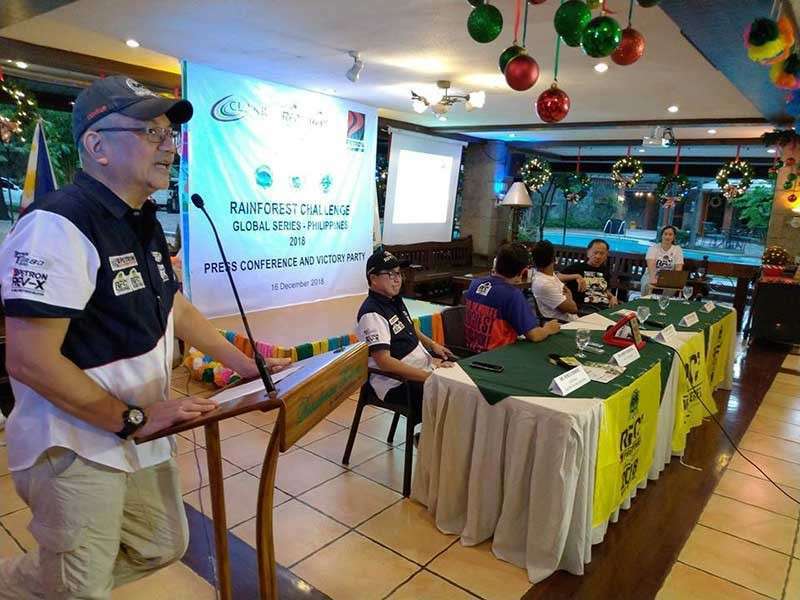 Robby Consunji, RFC Philippines Representative, said the Filipino racers demonstrated guts, grit and determination to compete and complete the RFC Grand Finals. He said that the Philippine team has placed Filipinos in the international arena of off-road motorsport. The Team received the special award and distinction as the “Most Up & Coming Team” for demonstrating great winning potential for a first timer to enter the race. The Filipino Off-roaders will continue to prepare for the world's toughest off-road motorsport, RFC Philippines event chair Rene Romero said. “We try again next year,” he added. Arroyo, Manman Bengco, Fred Lao, Nel Canlas, Joey Bravo, René Mouris, and YSA Skin & Body Experts. The race was supported by partnerships with: Land Rover Club of the Philippines, Pampanga Off-Roaders Club, Inc., Jungle Base Firing Range & 4x4 Center, Outdoor Challenge Philippines, Pureforce and Rescue Corp., and the AFP Northern Luzon Command. COnsunji and Romero also thanked the local government of Arayat, Floridablanca, Porac, Angeles City, and Mabalacat City. The media partners are – Ignition.ph, Autocar Philippines, Mellow 94.7, The Awesome Wake Up Show, Punto Central Luzon, and Adventour Asia International Travel Magazine.